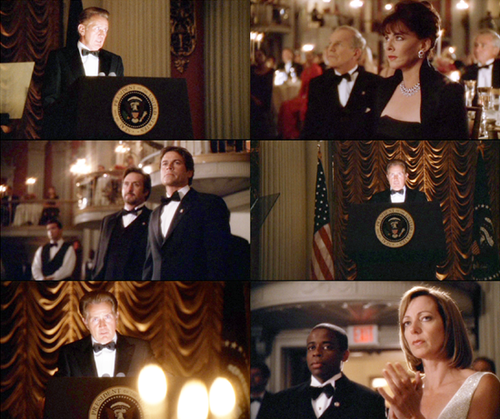 Season 4. . Wallpaper and background images in the The West Wing club tagged: west wing martin sheen alison janney john spencer season 4 stockard channing 4x02. This The West Wing fan art might contain drawing room, lectern, reading desk, and brasserie.